Complete our pre-qualification assessment in just two minutes. Find out if you qualify to apply for a loan in just two minutes! You can complete your application online or over the phone with a MacCredit Personal Finance Consultant. We will ask you to provide proof of income and identification. We will notify you once the application is approved and walk you through the conditions. Either electronically or in person. Funds are paid into your nominated account! Whether you’re chasing a personal, medical or car loan – we’ve got you covered. Getting married? Need further educational qualifications for work? Or perhaps you’re over the never-ending cycle of credit card debt. Whatever your need, MacCredit is here to assist in connecting you with a suitable lender for your current circumstances. MacCredit assists in sourcing personal loans for a wide variety of vehicles, including cars, motorcycles, marine vehicles, caravans and motorhomes. You can also use MacCredit to find a lender that will assist you in paying for vehicle upgrades and repairs. 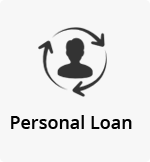 MacCredit has been assisting patients in sourcing suitable personal loans for over 15 years. You name it, we’ve helped find finance for it. Getting married? Need further educational qualifications for work? Perhaps you’re over the never-ending cycle of credit card debt. Whatever your concern, MacCredit is here to assist in connecting you with a suitable lender for your current circumstances. MacCredit assists in sourcing personal loans for a wide variety of vehicles including cars, motorcycles, marine vehicles, caravans and motorhomes. You can also use MacCredit to find a lender that will assist you in paying for vehicle upgrades and repairs.